puts America first by keeping more of America's hard-earned tax dollars here at home.The core of my first Budget Blueprint is the rebuilding of our Nation's military without adding to our Federal deficit. 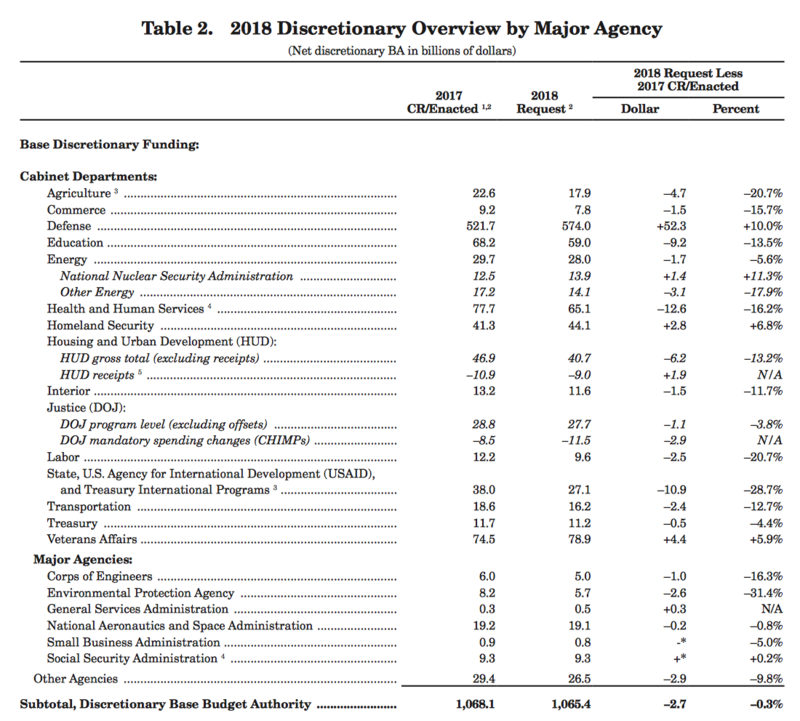 There is a $54 billion increase in defense spending in 2018 that is offset by targeted reductions elsewhere. Provides $120 million to restart licensing activities for the Yucca Mountain nuclear waste repository and initiate a robust interim storage program. These investments would accelerate progress on fulfilling the Federal Government's obligations to address nuclear waste, enhance national security, and reduce future taxpayer burden. NEI President and Chief Executive Officer Maria Korsnick has praised the including of funding for a nuclear used fuel program in the president's proposed budget for 2018. "Reducing the nuclear energy research budget now would send a signal around the world that the U.S. government is ceding leadership to competitors like Russia and China, at exactly the wrong time." Korsnick emphasized that American leadership in nuclear technology requires prudent policy support and filling vacancies in leadership positions at crucial agencies. ・Discontinues funding for the Clean Power Plan, international climate change programs, climate change research and partnership programs, and related efforts--saving over $100 million for the American taxpayer compared to 2017 annualized CR levels.